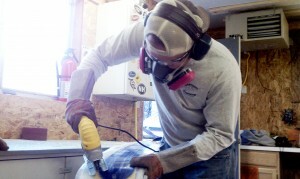 Matt Cudmore, founder of Meier Skis, shapes a ski at his shop. David Frey photo. If you’re a skier, you’ve probably heard of brands like K2 and Salomon. But what about Meier Skis? The one-man operation, which handcrafts custom skis from local wood, is part of a boom of boutique ski makers that’s making its mark on the industry. In a backyard garage in Glenwood Springs, a new pair of skis is taking shape. They’re long, fat, and surprisingly lightweight, and they show off the grain of the locally-cut aspen wood at their core. A new approach to ski making is taking shape here, too. Meier Skis may be a one-man operation, but it’s part of a wave of boutique ski makers muscling in alongside big corporations. Matt Cudmore is the founder of Meier Skis. In his day job, he’s a designer for the engineering firm Schmueser Gordon Meyer. But he’s hoping his new ski business will take off. After making skis for friends for the past few years, he’s selling and renting them to the public this year at Glenwood’s Sunlight Mountain Resort. About seventy boutique ski makers have opened up across the country, including twenty in Colorado. They include Wagner, near Telluride, Unity, in Silverthorne, and FloSkis in Vail. One of the most famous, Montana Ski Company, counts former N-F-L quarterback Drew Bledsoe as a top investor. Kelly Davis, research director for the trade group Snowsports Industries of America, says custom ski manufacturers account for one in six ski sales in the country – enough to get the attention of top manufacturers like Rossignol and Dynastar. Another ski industry observer says the rise in boutique ski makers is much like the growth of microbrewed beer – it appeals to customers who wants quality and a homegrown type of product. Eric Edelstein runs the website Exotic-Skis-dot-com, which tracks nearly three hundred small-batch ski and snowboard makers around the world. The skis that come out of Cudmore’s shop seem more like works of art than sports equipment. They have a sidecut for fast turns and a rocker-shaped bottom designed to glide through powder. Instead of fancy graphics, the skis show off their wood cores – aspen, poplar, maple, even beetle-killed pine – mostly made from local timber. As popular as this small-scale ski business is becoming…competition is tough. Little guys don’t just have to compete with big corporations. They have to compete with each other. Jason Flynn is a founder of High Society Freeride Company. He and his buddies started the Snowmass Village company nine years ago with a run of six skis. Since then, they’ve expanded to more than fifty stores in the United States and abroad, selling skis, snowboards and now, outerwear. Flynn says there’s still room for more start ups. Skiers and snowboarders are always looking for the next thing, he says, and they like finding it at a company where you can call up the ski makers themselves. For Cudmore, the mantra is quailty skis, handmade locally. If his business catches on, he says, maybe when people think of Glenwood Springs, they’ll think, hey, that’s where Meier Skis are made. 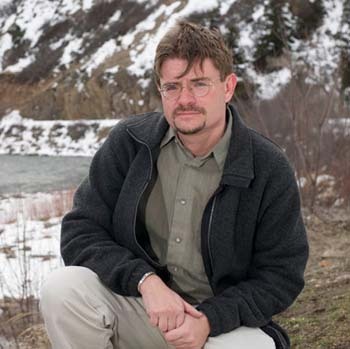 For Aspen Public Radio News, I’m David Frey.